For most business owners you get more phone calls every week from marketing companies then you do from potential customers. If you own a website or have a Yelp listing, your company is very easy for marketers to find you and capture your information. Just because you built a nice website using Wix or Godaddy, or set up a free listing on Yelp, doesn’t mean you will ever get a call off the internet from anyone other a marketing company. The reason for this, without being seen in the top 7 search results, your company doesn’t even exist to anyone searching online. I’ll be honest, we don’t work with many businesses in the Los Angeles area. Hell, we turn down most clients that call us from LA County only because they just don’t understand SEO or online marketing in their area. LA county has over 88 different cities and a population of more than 10.2 million people. If you have a business headquartered in Santa Monica, the odds of getting your business to come up in Beverly Hills for your major keywords is slim to none. If you work at it over the next five years, you may do it, but not in 90 or 120 days that most so called marketing companies claim. This is how Google works, and many marketers will promise you all of LA, and you will be very disappointed every time. 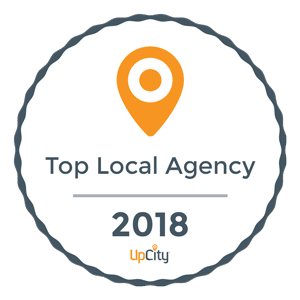 There are many companies the claim to be an Los Angeles SEO expert, but there are only a handful of companies that can really deliver the types of results you need to grow your business. The easy answer, results, can the marketing company show you at least six current clients that are ranking for top keywords in their area. Better yet, can they show you clients in your area that they are working with that have had good results? When it comes to search engine optimization, not every area is the same. What works in New York City doesn’t always translate over to Los Angeles. The process is always very similar and the steps can stay the same, but the links needed and content are always different. When someone does a search online, Google immediately looks at the ip address that you are searching from, or area, and then pulls data for the most relevant business or businesses for the keywords being searched. So if you live in Malibu and searching for a remodeling contractor, the odds of you pulling up a remodeler in Pasadena is impossible for Google maps searches and almost impossible for the organic search under Google maps. Let’s be realistic, if your remodeling companies listing is located in what marketers call the 3 pack in just about any city in LA, your getting phones call and making money! Don’t lie to yourself, most small businesses are one man or women shows and couldn’t handle all the phones call they would get for being #1 in all of LA County as a remodeling company or carpet cleaner. Guess what, all of you know you wouldn’t be able to find employees to help with an area that big, right? Be smart, start in your zip code, then your entire city, once your top dog in your city and you have help so you can expand, then target neighboring cities. This all of LA or Orange County garbage will just never happen and leave you angry with whatever marketing company you are working with. Pricing can vary depending on what industry you are in or what keywords you are targeting. Some keywords or services are harder and require more work for marketing companies to achieve top listings. With that being said, a good SEO company will range anywhere from $200 to $800 a month depending on the industry and keywords. For some small businesses that may sound high, but in reality, once your phone is ringing and the leads are coming in, it will pay for itself for many years to come. We get it, most business owners have been through the wringer when it comes to online marketing. Wasted 1000s of dollars on just garbage. Never getting a lead and never seeing any results on Google. Our company is not the norm, we deliver affordable and affect SEO to our clients day in and day out. Don’t be afraid, contact us, hear what we have to offer, and let us show you what real results look like for a small business.